So I'm one of those people who doesn't like to see Christmas cards in July and fall things before summer is over......BUT this card practically made itself - so you'll forgive me for posting it "early." This is the last of the card projects I did while my s-i-l was here (two weeks ago). 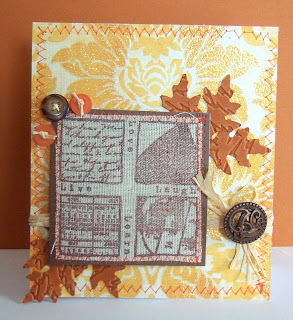 It was an experiment with stamping on muslin. 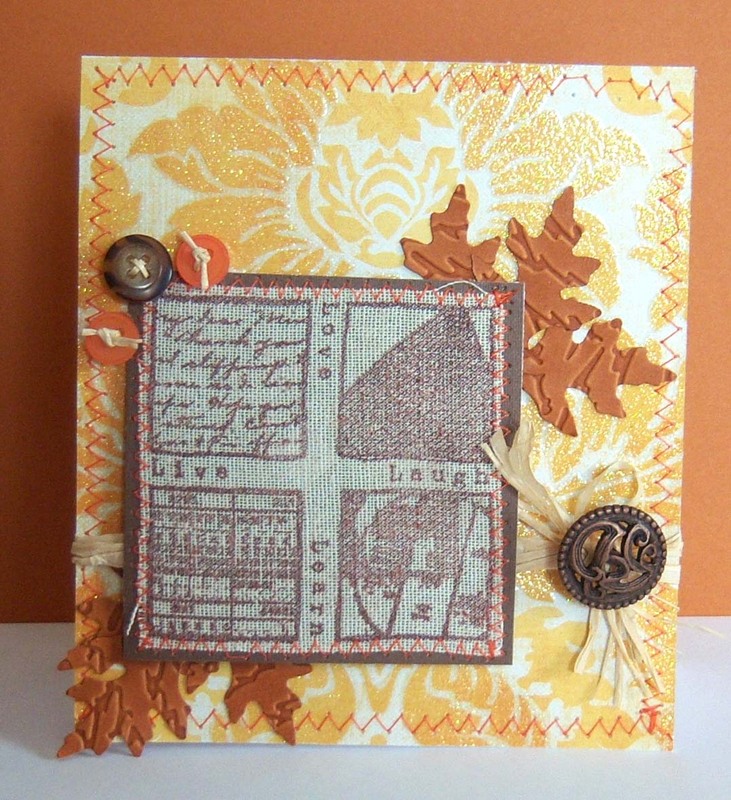 I really like how it turned out -- especially like the feel of it --- using cloth adds "character" to your projects. DP - My Mind's Eye "Home"